With the release of Fortnite Season 5, Epic Games once again dropped a couple of additional sets of challenges for players to complete throughout the duration of the season. The Road Trip challenges tasked players with completing all of the challenges from seven different weeks. Upon completing all of the challenges for these weeks, Fortnite will unlock a hot new skin for you. It’s going to be fairly rare for a day or two, at least, while players try and make their way through the week 7 challenges. As such, we’re pretty sure that a fair few of you are going to want to see what the Road Trip, known in-game as the Enforcer skin looks like. 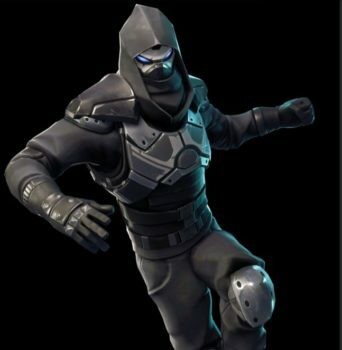 Well, thanks to a number of leakers, we already know what to expect this mysterious Fortnite skin to look like once we’ve finally completed the Road Trip set of challenges. Below, we’ve included an in-game screenshot courtesy of Fortnite: Battle Royale Leaks over on Twitter, as well as an asset shot courtesy of Cross- Fortnite Leaks. Thanks once again, to the many hardworking leakers doing great work. As you can see, the Enforcer skin is what the Road Trip challenges will unlock you in the game. It’s a Legendary skin to add to your collection, and the description reads: “Balance and order must be restored.” Sounds like something Thanos would say, if you ask us. 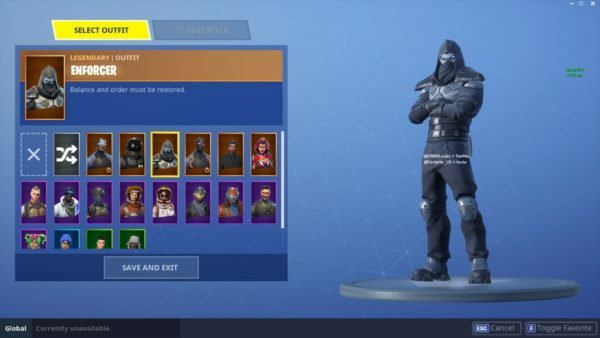 For those of you wanting a closer look of what the Enforcer/ Road Trip skin looks like, you can check out the image above. That’s pretty much all you need to know regarding what the Road Trip challenges’ Enforcer skin looks like in Season 5. Of course, popular streamers like Ninja will no doubt have some gameplay footage of them using the skin in the near future, so be sure to keep your eyes peeled over on YouTube and Twitch.